Apple Watch offers quick and seamless communication methods, and one of the most used features for many users is the ability to instantly reply to inbound messages with quick pre-canned replies, emojis, or a dictated message. 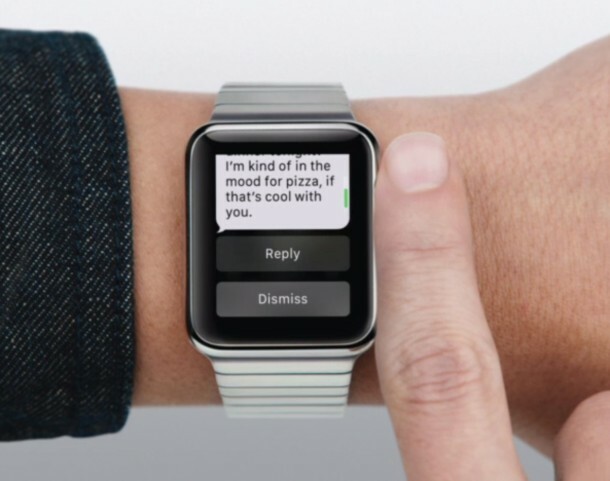 The quick replies in particular are very useful, and Apple Watch offers a variety of default replies for this purpose, but an even better solution is to customize your quick reply choices to better suit your needs and communication style. 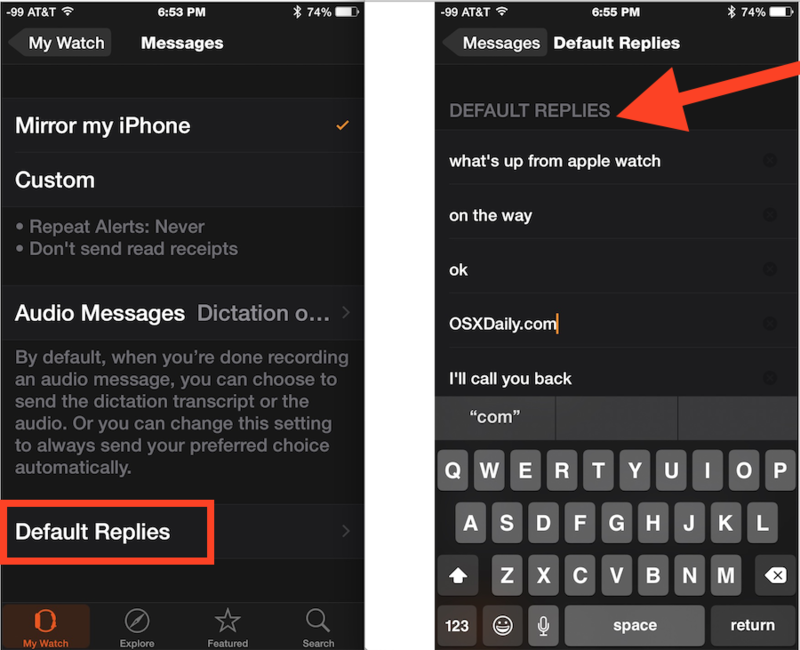 To change the default message reply options to custom messages of your choosing, have the Apple Watch and paired iPhone handy. 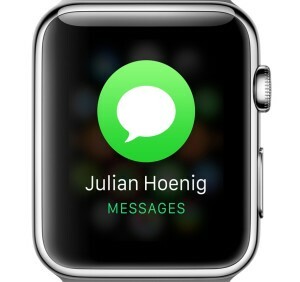 The changes will sync to the Apple Watch quickly and you’ll be able to use them for future responses to inbound text messages and imessages. 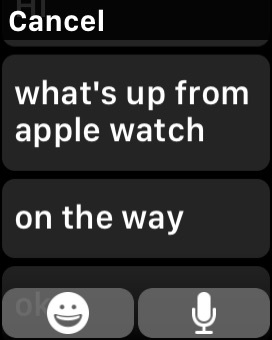 These Quick Reply options are really useful and can be more than sufficient to handle responses to most inbound messages to the Apple Watch, at least until you can either use Siri to offer a full response, call the person back, or use Messages from iOS or a Mac to have a complete conversation. Remember, you can always tap the microphone button to use voice to text and have a complete reply written out for you too, or even send a voice message like you can from iPhone, both of these features work very well on Apple Watch. A similar quick-reply feature exists on iPhone for responding to inbound calls with a quick message. Perhaps a future release of iOS will offer a similar quick-reply feature for all inbound messages in iOS, but for now iPhone and ipad users can use the notification response feature in conjunction with Quick Type in a similar manner. This is one of my favorite Apple watch features I use it all the time. This and Siri and fitness tracker are what I do with it for now. Really like it. Fun gadget. Less watch, more OS X. The Apple Watch is actually pretty great. Don’t worry, we’ll be covering Apple Watch much like we do everything else Apple, whether iPhone, iPad, Macs, OS X, iOS, Apple TV, if it’s a relevant and interesting part of the ecosystem, we’re on it. It’s not for everyone – just like an iPad, AppleTV, etc aren’t for everyone. But I think it’s a very nice product. I’m disabled and my apple watch is my Go To HELP devise if I need it. It’s invaluable! I don’t go anywhere without it. Thanks for this… but it only works for Messages, right? Meaning, the custom replies are disabled for whatsapp/messenger msgs… is there any way to enable tow custom replies across the board?